Priyanka Chopra Jonas also leveraging it to hire a Production Intern in U.S.
Philanthropist and entrepreneur Priyanka Chopra Jonas will harness Bumble Bizz, the professional networking platform within the Bumble app, to grow her global team. 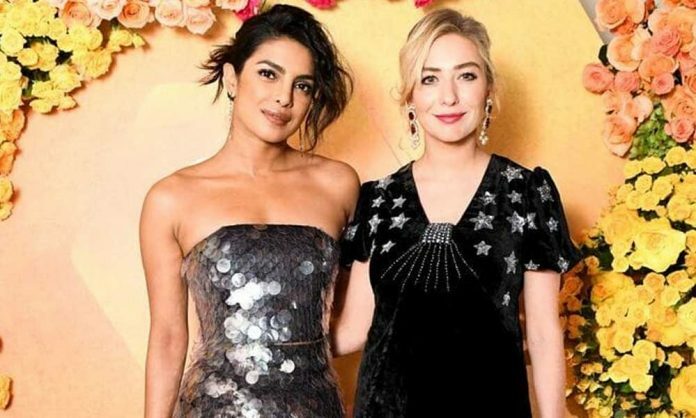 Via Bumble Bizz, Chopra Jonas and her team will find their next marketing assistant in India, who will work on the star’s upcoming film The Sky is Pink. Chopra Jonas is also looking for a production intern in the US to support upcoming projects with her production company, Purple Pebble. Starting today, users of Bumble Bizz in India and US can match with Chopra Jonas’ verified profile for the opportunity to be hired. Over the next few weeks, Chopra Jonas and her team will connect with a number of Bumble Bizz users seeking the available positions and will narrow the search to their top candidates. In India, the selected candidates will join her global team to work on the set of the stars upcoming film, The Sky is Pink. Chopra Jonas just last week launched a special on YouTube titled “If I Could Tell You One Thing,” which gives viewers an intimate look at her life and invites them along for conversations with three extraordinary women. Bumble Bizz gives users the opportunity to meet new business connections and grow their professional careers. Bumble Bizz includes a photo verification tool designed to help ensure authenticity, and acts as a digital resume with space to showcase the users’ talents and accolades. Bumble Bizz is one of three options within the Bumble app, alongside Bumble Date and Bumble BFF. The company also recently celebrated that women in India have made the first move over 1.5 million times on Bumble. The free app has over 50 million users worldwide in 150 countries and is available to download in the App Store and Google Play.